Such a great outfit and location!! I get a strong sense of Paris and autumn in this post. They say (sorry, cliche alert) Paris in the springtime, but now I think autumn is best. 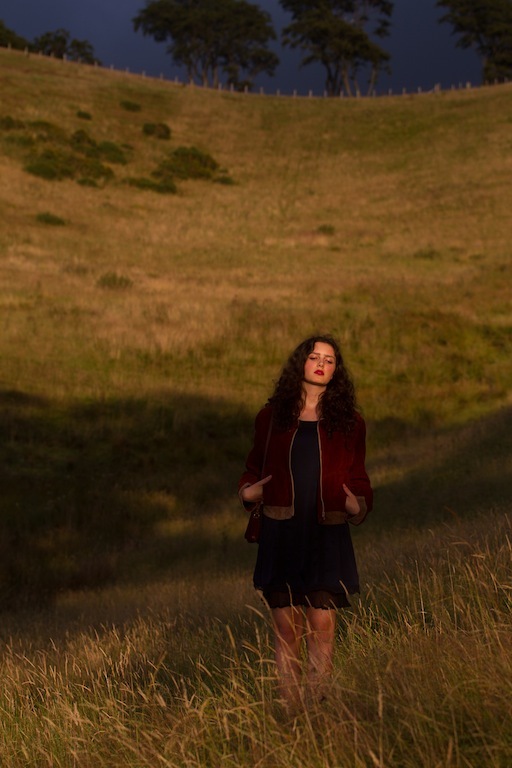 Love your jacket in this photo shoot! I don't frequently comment on the loveliness of your photos, because it goes without saying, but these photos have a very special regal quality, and the outfit makes me think of some 1930s bohemian French poet or artist or muse to the artists probably back then. I've never done most of these things, all of the times I've been to Paris with my family! Same reason, as a New Yorker, I guess I've never been to the top of the Empire State Building or seen the Statue of Liberty. But now I really want to see that bookstore and wander along the Seine at midnight :). Oh my darling! I feel almost the same way about Paris. But then I started hanging out with Japanese people who've lived in Paris for an age and it opened up curious possibilities for exploring for me. I tell you what I find odd about people who visit Paris and write about it...they all write similar things. And it is often so far away from what I experienced. That said, I spent some time talking a couple of elderly ladies of the night in a council estate then found an abandoned once human zoo - remnants of one of those strange Expositions they used to have yonks ago....I wrote about it on my blog. However, most people want to veer away from stories like this and would much rather read about the Eiffel tower over and over again. Beautiful... I have two dear friends with who I have 'flaneuring' expeditions. On our latest flaneur we caught a ferry on a whim and ended up drinking a delightful italian white wine from the bottle and savouring bufalina pizza from a tiny, intimate pizzeria under the sydney harbour bridge.. talking from our souls and watching the sun set... it was perfect; and your wanderings around Paris remind me of that sense of sweetest companionship, surrounds and conversation- now if only one day we were to get to Paris too! A secret cocktail bar? Now you're talking! As my filmmaker brother and sister in-law say, it's the Magic Hour. That golden light, though fleeting, is so worth waiting for and capturing! Gorgeous photos. And how wonderful that you were able to go to Paris with your friend. Paris ... I think we can all be forgiven for indulging in all the cliches. I didn't realize the significance of Paris being called the "City of Light" until I began studying the Belle Epoque and Impressionism. With its new electric lights illuminating boulevards and cafés at night, it truly was the City of Light! Your excursion reminds me of my first trip to Paris. We were a couple of wide-eyed university kids going across the Channel for the weekend. We were fortunate that one of our friends was half-British, half-French, and so his (inundated but very kind) mother hosted us all in their home in Paris. At the time, I knew nothing about Paris beyond the Louvre and the Eiffel Tower, so I was so happy bringing up the rear to the Musée d'Orsay, Centre de Pompidou, and the beautiful Saint Chapelle. In the years after, I was able to visit Paris a few more times and finally enjoyed those little Parisian things that people remember, like eating crepes, sitting in the gardens, or lingering over books and old prints along the Seine. And I felt I had crossed the bridge of time in that enduring, Parisian way. My parents in their youth had also brought home second-hand books and old prints picked up along the Seine. I adore Paris! All you have to do is walk around and you feel Parisified! It was my first modelling stay abroad and I just adored being on my own in my tiny studio apartment from which, if I angled my head just so, I could see the Eiffel Tower. Even the tourist spots feel better than our Leicester Square type spots!